One issue with trying to make handmade fishing lures is getting the weight right. Sometimes you want a sinking lure, and at other times a floating or a neutrally buoyant lure is best. When your lure is carved out of wood, the variation in carving from one lure to the next, and the natural variation in wood, makes for lures with a lot of variation. You can just make the lures, and then work out what style they are when they are finished, or you can control their buoyancy as you make them. We can build in some weights right from the early stages of production, but to make final adjustments, it would be nice to be able to add weight or floaty stuff at the very end. With this in mind I made some eyes that allow tiny adjustments to the finished lure, and they look like this. Or at least the weighted version looks like this. I haven't tried a floating version yet. cut some different size split shot* in half. Scissors work well. print out some circles on shiny photo paper. place each split shot onto a shiny circle, and lay them out on a sheet of printer paper according to their weights. use a nail head to dab a single drop of black nail polish (described earlier in "painting") onto each split shot as a pupil. I've read the pupils should be placed so that the eye appears to be facing more in one direction to give the impression that your lure is fleeing the fish that's chasing it. The eyes should look like they are looking forwards in the direction of flight. 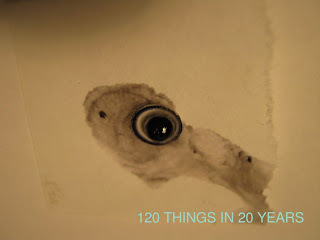 add a drop or two of super glue onto each eye. This sticks it all together, but also adds a very realistic look. cut out each eye as you need them. E. interesting natural looking chaos caused by adding superglue to wet nail polish. 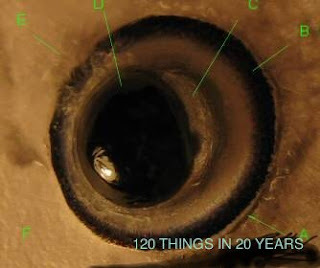 Also can be seen within the "whites" of the eye, and on the bare split shot. You could also add some laser cut material from a gift card or from toothpaste boxes or other packaging, (as used in the hot glue shrimp lure ) in place of the circles rather than the printed ones. Once you have some eyes of different weights, it should be possible to finish your lure, select the correct eyes to get the buoyancy you desire. Hang some split shot from your lure in some temporary way until you find the weight that works best when tested in a glass of water. Then select the eye that most closely corresponds to the temporary weights, glue them on, and you're done. Remember things float more in salt water, so if your lure is going to be used in the sea, it should be tested in salt water if you need to be fussy about its buoyancy. 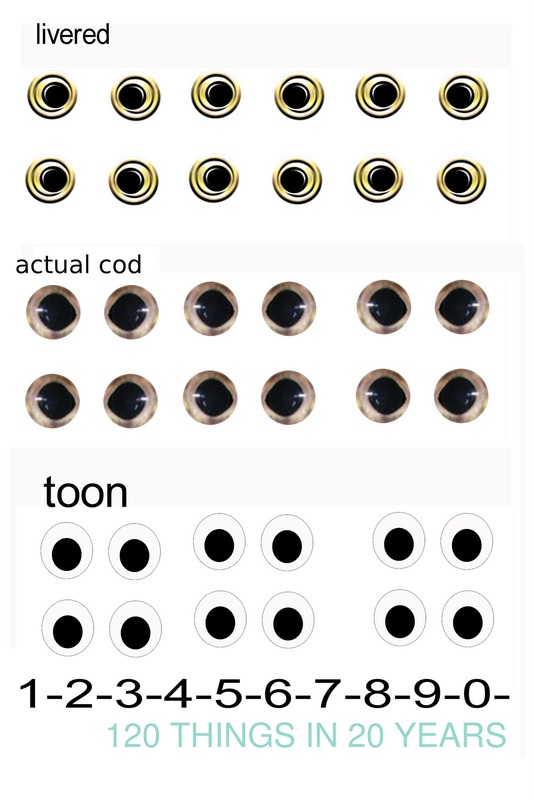 Here are some other eyes I have used with and without the weights.